Ludwig von Mises, economist, author, and one of the founders of the “neo-Austrian school” of economics. Our show was a discussion of the eBook, The Essential Ludwig von Mises, published by the Foundation for Economic Education, available for free. 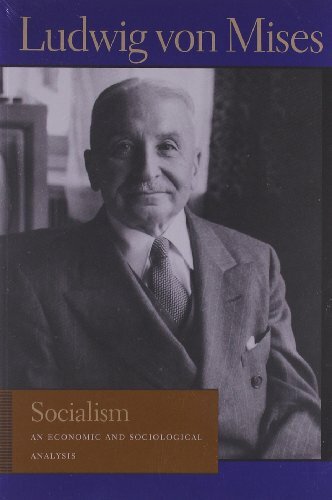 Ludwig von Mises (1881-1973), born in Lemberg, 350 miles east of Vienna (today, part of Ukraine). The oldest of three sons, from a prestigious Jewish family. His father was a construction engineer, who was titled “von” for his work on the Austrian railroads—similar to “sir” in Great Britain, but the title is inherited by all male, and unmarried female, descendants. Mises entered University of Vienna turn of century, where he read Carl Menger, one of the creators of the subjective theory of value. In 1906, age 25, he graduated with a doctorate of laws, and became the chief economist at the Vienna Chamber of Commerce. In 1912, published The Theory of Money and Credit, which challenged Irving Fisher’s quantity theory of money. He finally got a teaching job, but only part time. He failed to be appointed for three reasons: 1) he was Jewish; 2) he was a staunch advocate of laissez-faire; and 3) he was personally dogmatic and intransigent. He was a private man, a confirmed bachelor for many decades, who finally married at age 57. His younger brother, Richard, earned a PhD in mathematics, who became an aircraft designer. Mises always worried he’d be outdone by him. Both brothers fought for Austria in the Great War, Mises being an artillery officer at the Eastern front who was decorated for bravery three times. In 1934 he left Vienna to teach at the University of Geneva. In 1938, Nazis stormed Mises Vienna apartment and confiscated his writings, 38 cases in call. In the 1990s, Richard Ebeling of Hillsdale College discovered them stored in KGB files in Moscow, over 10,000 pages. What Irony! One of the foremost intellectual opponent of socialism in the 20th century, had his papers in the tender care of the Communist Party of the Soviet Union! Mises emigrated to New York City in August 1940 (brother Richard was at Harvard). He never got a full-time teaching position, so his salary was subsidized by friends and foundations. 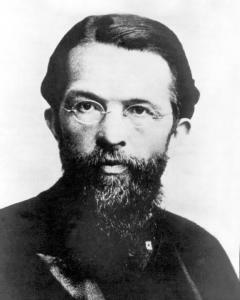 Brother Richard was a member of the “Vienna Circle,” which included members such as Ludwig Wittgenstein and Karl Popper. They favored logical positivism, using empirical evidence to test theories. Mises rejected this approach, preferring to rely on pure deductive reasoning instead. Rothbard disagreed, said Mises was a “joy and an inspiration.” Mises’ wife, Margit, said: “He wasn’t gentle. He had a will of iron, his mind a steel blade, and he could be unbelievably stubborn. At a Mont Pelerin Society (founded by Friedrich Hayek in 1947) meeting in 1953 Milton Friedman chaired a session on income distribution. During the discussion, Mises stood up, announced “You’re all a bunch of socialists” and stomped out of room. During his time at the Vienna Chamber of Commerce, he did support use of “limited trade retaliation” against countries that raised import taxes, to nudge them back to free trade. In the early 1920s, Austria resorted to hyperinflation, like Germany. Hayek recalled his salary was 5,000 kronen/month in October 1921, then raised to 15,000/month in November and to 1 million/month by July 1922. “Hear that noise? Turn it off!” The Building was the government printing office. They did, and inflation ended. Mises was Hayek’s teacher, and Eugen Bohm-Bawerk was Mises’ teacher. Mises and Hayek forecasted the Great Depression, Mises being the originator of the Austrian theory of money and business cycles. He thought unemployment was a pricing problem, not a demand-management problem, and felt Keynesian was nothing but special-interest group politicking. Hayek advanced Mises’ theory of business cycles, winning a Nobel Prize in 1974. Mises died in New York City on October 10, 1973, age 92. 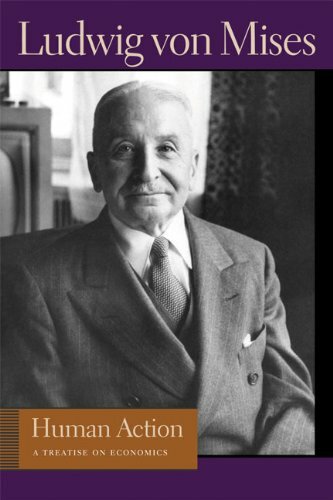 The Foundation for Economic Education ebook: The Essential Ludwig von Mises, contains five chapters, which we discussed. The Greeks and Romans thought freedom was only for the elite. Pre-capitalistic system was based on military conquest and opposed to innovation. The characteristic feature of capitalism: principle of marketing, to satisfy the needs of the masses. Bureaucratic management is the only alternative where there’s no profit and loss. Capital does not beget profit, as Marx thought. It’s the entrepreneurial decision—mental acts, a product of the mind, a spiritual and intellectual phenomenon. Lenin believed that production could be easily accomplished, since it consists of simple operations. Taxing profit is tantamount to taxing success of those best at serving the public. One main function profits: shift capital to those who best deploy it to satisfy the public. Why is anyone better to expropriate than anyone else? Why shouldn’t immigrant’s wealth be taken by residents of their native country? There is no third system: the choice is between capitalism and socialism. Statoltry: combines idolatry with the state. No such thing as a scientific ought. Science is only competent to establish what is. Opponents of capitalism argue it hass no plan? Sure it has plans, just not that of the state, but those of individuals pursuing happinesss. Capitalism vs. socialism: it’s not a fight over distribution, but which system best serves human welfare. Marx never distinguished between communism and socialism, nor did Lenin who used socialist in the name of the USSR. In 1928, Stalin, at the Communism International, made a distinction between the two words. The so-called third way between capitalism and socialism is known asinterventionism, such as price controls, minimum wages, the National Industrial Recovery Act of 1933 (part of FDR’s New Deal), etc. Cancer research can help fight disease, but business cycle research cannot stop recessions or depressions. Economics is abstract reasoning, it can never be experimental and empirical. There’s no such thing as labor economics, agriculture economics, etc. The same is true of ethics. There’s only one coherent body of economics. Economics too important to be left to specialists. Human Action, published in 1947, was the culmination of Mises work. Human Action is to capitalists what Das Kapital is to Marxists. Mark Skousen says this is nothing but the Labor theory of value, since the Communist Manifesto was only 62 pages, and probably the second most influential book in history, next to the bible. The Four Gospels of the Bible are only 177 pages. Revolutions to produce new words, and Mises introduced a few. The field of our science is human action, not the psychological events which result in an action. It is precisely this which distinguishes the general theory of human action, praxeology, from psychology. Catallactics is a theory of the way the free market system reaches exchange ratios and prices. It aims to analyze all actions based on monetary calculation and trace the formation of prices back to the point where an agent makes his or her choices. It explains prices as they are, rather than as they "should" be.